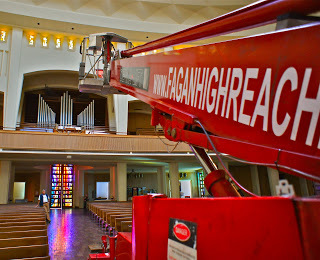 Our Denka was hired by Patrick J. Ruane to help repair the ceiling at Holy Name of Jesus Parish in San Francisco last month. The Denka was needed to reach a spot 60 ft up and 25 ft out from the center isle. 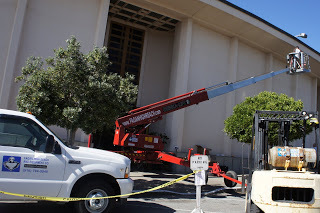 When the ceiling was finished, the Denka was used for some general maintenance around the property.